Could you get an interest-free loan to restore an empty property? In the midst of a housing crisis and with alarming numbers of rough sleepers perishing in winter weather, it is startling to discover that there are more than 600,000 unoccupied homes in the UK, revealed House Beautiful magazine. Roughly two-thirds of these – some 200,000 dwellings – have been empty for more than six months and to help combat the waste of such a potentially valuable resource, local authority loans and grants are available to those who already own such a property or are thinking of buying one to do up and sell on or let to tenants. Just how such a move could let you play your part in reviving the unused housing stock – and make you a tidy profit into the bargain – is illustrated by a story that appeared in the Daily Mail newspaper. The story recounts the experience of a couple in Kent who had inherited an empty property from an elderly relative who had moved into long-term residential care. By taking advantage of an interest-free loan of £25,000 from their local council and contributing some of their own savings to refurbish the dilapidated home, they were eventually able to sell it on for some £500,000 – so returning the property to the modernised pool of available housing and earning themselves a handsome profit into the bargain. From the proceeds of the sale, the couple were able to pay back the £25,000 loan they had received – loans become repayable after three years or when the property is sold, whichever is the earlier. Many local authorities operate similar schemes to encourage the return of empty housing, refurbished to a decent standard, to the available stock of homes. Some schemes may be more generous than others or have different criteria for eligibility. In the London Borough of Brent, for example, grants are available for refurbishing empty properties, general refurbishment grants, conversion grants (for converting large empty houses into smaller dwelling units), and commercial grants (for converting unused commercial properties into housing). the property has to comply with the council’s terms and conditions of letting. In the northeast of England, Newcastle City Council also offers grants of between £2,000 and £10,000 to owners who refurbish housing that has stood empty for more than six months. In Newcastle’s case, the only condition on completion of the refurbishment is that you, or your family, occupy the dwelling or it is let to private sector tenants for at least the next three years. At the national level, the government also provides incentives for local authorities to create new homes from previously empty houses – by increasing financial allocations to councils based on the increased revenue they may then take from increased Council Tax. These New Homes Bonuses are paid to councils with respect to new-build homes, conversions and the refurbishment of previously empty houses. Who needs unoccupied property insurance cover? 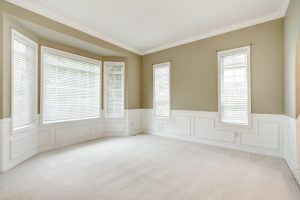 What does unoccupied property insurance cover?